Massachusetts Gov.Deval Patrick joined Reps. Richard Neal (D-MA-1) and James McGovern (D-MA-3), Massachusetts Department of Transportation Acting Secretary and Chief Executive Officer Frank DePaola, local elected officials and community members Dec. 22 for the inaugural run of Amtrak's Vermonter service on the Knowledge Corridor. The restored rail line will allow for more and efficient passenger service and will allow the commonwealth to maintain and enhance freight service, which will take trucks off the roads, reducing congestion and greenhouse gas emissions. “I am thrilled to see this critical project completed, restoring faster service along the historic Knowledge Corridor,” said Gov. Patrick. 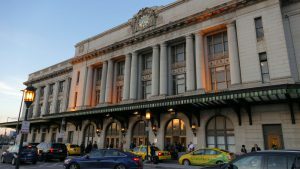 Monday’s inaugural run left Springfield at Union Station and made stops along the new service route in Holyoke, Northampton and Greenfield. 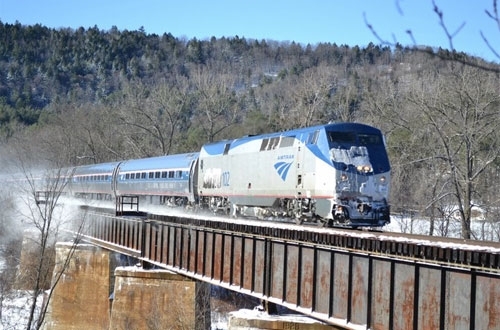 Amtrak passenger service along the new Knowledge Corridor will officially begin on December 29. 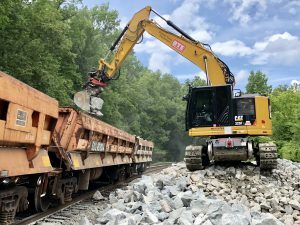 The Knowledge Corridor project returns Vermonter train service to the historic passenger route between Springfield and East Northfield, providing a more direct route, eventual faster service and restored access to the cities of Greenfield and Northampton. As an important cultural and economic backbone for New England, the Knowledge Corridor/Restore Vermonter project is part of the vision for a New England High-Speed and Intercity Rail Network that will provide a foundation for economic competitiveness and promote livable communities from major and smaller cities to rural areas. 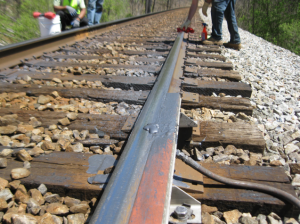 The restoration work along approximately 49 track miles includes the replacement of about 95,000 ties; installation of new continuously welded rail; new active warning signals and crossing gates at 23 public grade crossings and four private crossings; upgrades to six bridges and the first phase of a new signal installation. Restoration work began in August 2012 and will continue through 2016. 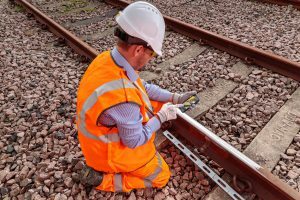 Following the start of service on December 29, work will continue outside of operating hours to complete adjacent freight sidings to allow freight and passenger service to run simultaneously along with culvert and bridge repairs. The final completion of the Knowledge Corridor project is expected to reduce trip times by approximately 25 minutes. 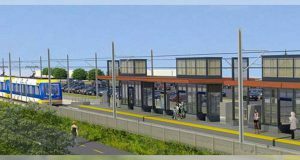 The $131-million project is funded by approximately $80 million in federal grant funds, including a Federal Railroad Administration grant through the American Recovery and Reinvestment Act, along with state funds.